Quick and easy process. I called in the morning and was there and out by mid afternoon with check in hand. Thanks to Review Cash Loans for helping me when in a bind. The staff is very courteous and friendly and an overall wonderful experience with them. highly recommend. The service was good and the advice I got I took to heart and acted on it which I guess is why i'm writing these words right now. These people know what they are talking about. Super friendly and gave me the info I needed in a straight forward way. The H Street Montana Capital Car Title Loans in Bakersfield Branch has been providing the residents of Bakersfield with car title loans since June 7th 2017. 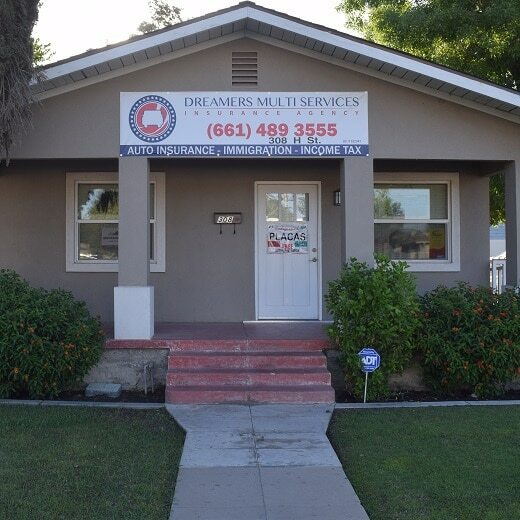 We rent a space in Dreamers Multi Service Insurance. The store is located at 308 H Street, between Terrace Way and Loustalot Ln. If you live in Bakersfield and in need of quick cash, stop by the 308 H Street Montana Capital Car Title Loans in Bakersfield Branch. We are obligated to provide all our customers with unmatched customer service. 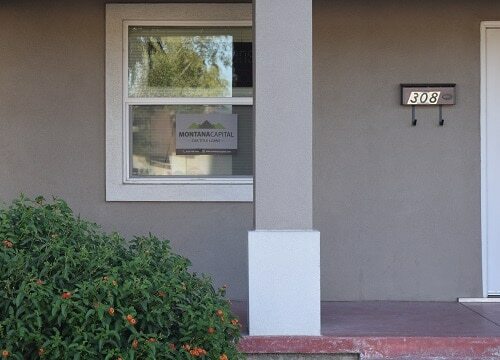 Having a bad credit score doesn’t mean you can’t get approved for a loan. 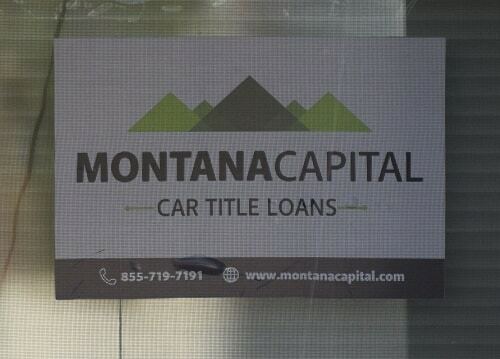 Montana Capital Car Title Loans offers an emergency loans for Bakersfield residents. The application process involves using your car as collateral. If the car title meets our basic requirements you can then get approved for a pink slip loan of minimum amount of $2600. Get pre-approved by filling in your car’s details in the online form or by calling us. Getting extra money for any need in Bakersfield can be quite a challenge, unless you own a car. If you own a car and can make the payments, then you can apply for a car title loan at Montana Capital Car Title Loans. All the cash you can get from car title loans in Bakersfield can be used for anything you want. Do you want to go on a vacation, or do you need to buy a new appliance. Do you want to send your kids to a better school or do you have your own school expenses that need to be paid? If you’re being buried under a pile of bills and need to get out, an auto title loan might be a good idea. When you’ve made your mind up to send in your application, just go online and fill one out. Complete all the relevant details and send that over to Montana Capital Car Title Loans. Others like residents in Bakersfield are also sending in applications and getting money to cover their emergency needs. Make sure you’ve written in the details of your car so that we can get an evaluation of its value. To save time, you can also send in your car title. With that information (and more), we’ll get right to work on processing your request. You won’t have to wait very long to hear from us. We get back with people as quickly as possible regarding secured loan acceptance. Anyone living in Bakersfield knows how tough it can be to make a decent living and get by without getting into debt. But even if you’re doing pretty well with keeping up on the bills, a sudden emergency or change in jobs can quickly put you behind. If you’re in that situation and can use some extra cash, car title loans can be a great solution. You can send in an online car title loan application form and then someone from Montana Capital Car TItle Loans in Bakersfield will contact you. Getting a loan from Montana Capital Car TItle Loans in Bakersfield depends on the present value of your car, meeting our credit criteria and ability to repay the loan. If you meet those three points, you could be preapproved for a title loan while still in your home. Then we’ll set up a meeting to further the discussion If you are approved, you can get a title loan from $2,600. When approved, we will become a lien holder and write our name on your car title. After you’ve met the contractual obligations, the DMV will issue you a new car title. We base our approval of loan requests on our criteria, and that is more important than your credit history. We don’t mind if you’ve had a bad credit status in the past or if your history is bad. If your car has adequate value, you meet our credit specifications and you can pay back the loan, you can still be approved. While you’re paying back the loan you can still keep your car to drive to work or wherever you want. Get cash in your pocket while still driving your own car! Bakersfield, which is located in Kern County near the San Joaquin Valley, serves as an important hub for oil production and agriculture. As a matter of fact, Kern County produces more oil than any other county. As far as agriculture goes, it’s the fourth most productive county in the US. The industries that keep Bakersfield going are natural gas, aerospace, manufacturing, distribution, mining, food processing and petroleum refineries. The city has made a name in the musical scene as well, for its country music genre called the Bakersfield Sound, made famous by such artists as Merle Haggard and Buck Owens.